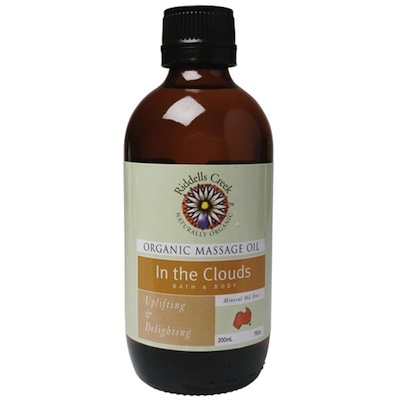 A meditation blend - luxuriate in luscious ambience and heavenly pleasure with the uplifting In the Clouds Body Oil. The sweet citrus fragrance of grapefruit, sweet orange and mandarin essential oils offers the perfect escape from daily life. Organic Safflower Oil, Biodynamic Macadamia Oil, Sweet Almond Oil, Biodynamic Avocado Oil, Jojoba Oil, Wheatgerm Oil, Sunflower Oil, Essential Oils of Bergamot, Grapefruit, Palmarosa, Rosemary Extract, Rosewood, Sweet Orange Essential Oil, Mandarin Essential Oil.